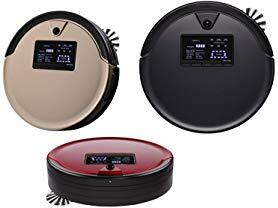 Today ONLY - bObsweep PetHair Plus Robotic Vacuum $199.99 (Retail $349.99). Power lies at your feet with this robot vacuum that can sweep, vacuum, mop, and filtrate simultaneously. Bob's 4X boosted suction swallows scraps by the mouthful, while his 1100 mL dustbin makes sure none of your leftovers get left over. You can make sure that Bob cleans where you want by using the included blOck Plus accessory to create up to two digital barriers in perpendicular directions.